We have had our own production facility of sulfur products located in LEUNA (Germany), on the major petrochemical plant in Europe since 2010. Thanks to our plant, we are now a European leader and a worldwide reference for high-quality sulfur products. We are directly connected to the Leuna refinery thanks to 2 pipelines of H2S (hydrogen sulfide). 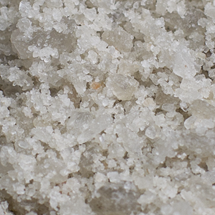 This allows us to secure our production and have a stable supply of pure raw material. We have quality control laboratory located in the production plant in Leuna in order to ensure the quality of our chemical products. The improvement in our products’ quality. Which are the different forms available for our sulfur products?